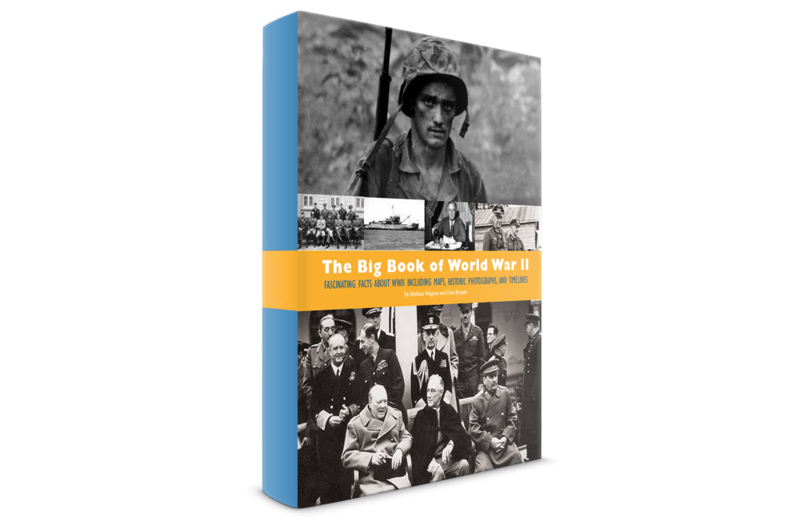 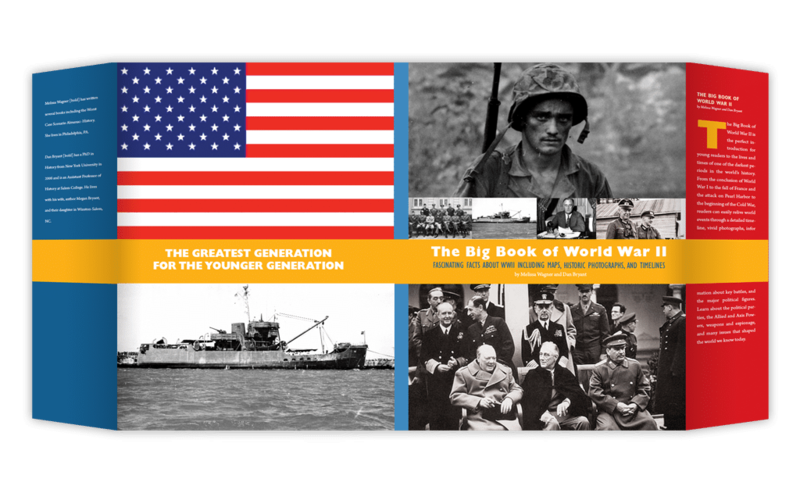 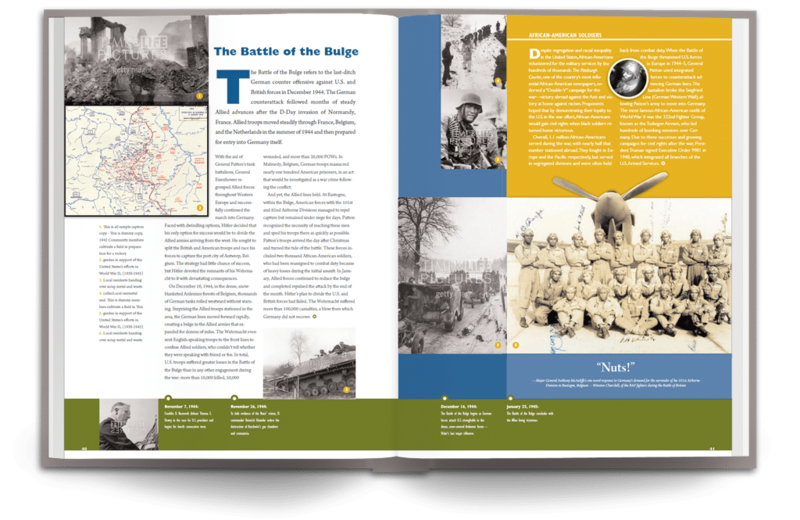 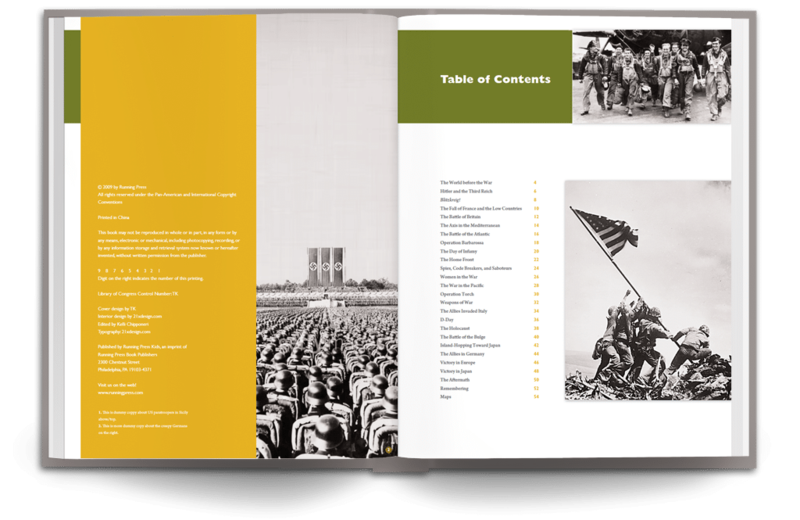 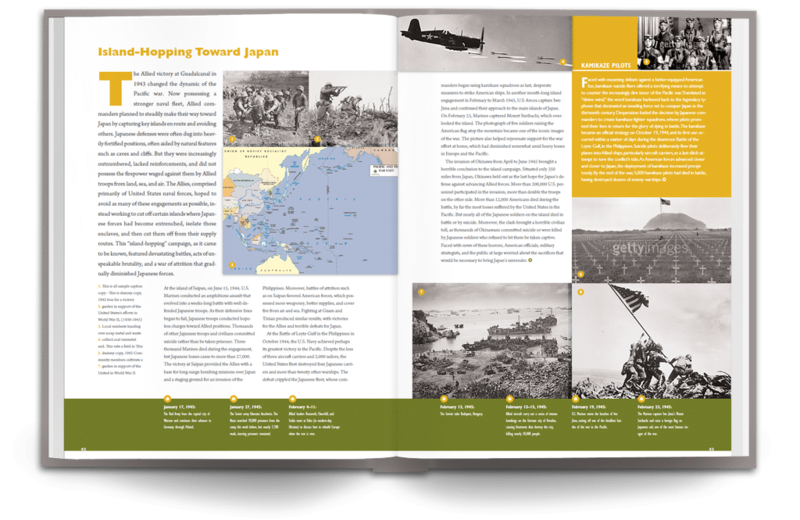 Realizing that the teenage attention span can be short and that new information must be consistently and constantly on display, the Running Press publishing company of Philadelphia asked us to design a book about World War II that would hold the interest of young adult audience. 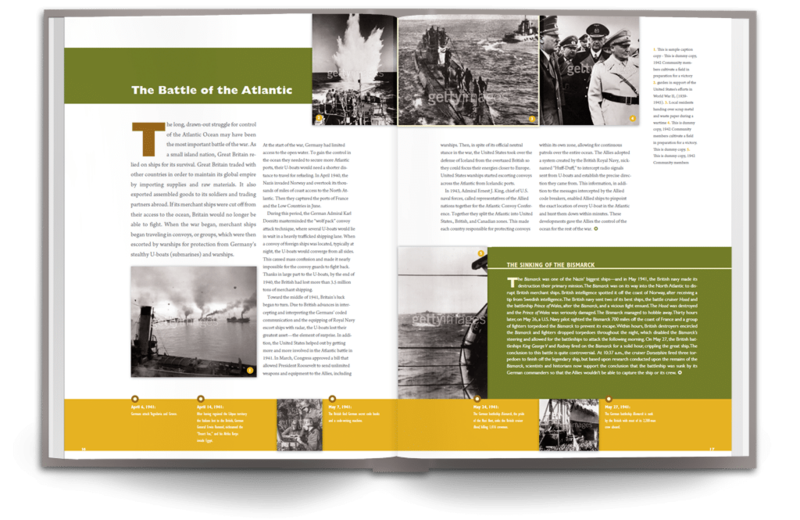 Our task was to create a layout that kept the eye moving through a lot of condensed information in an interesting and seamless manner. 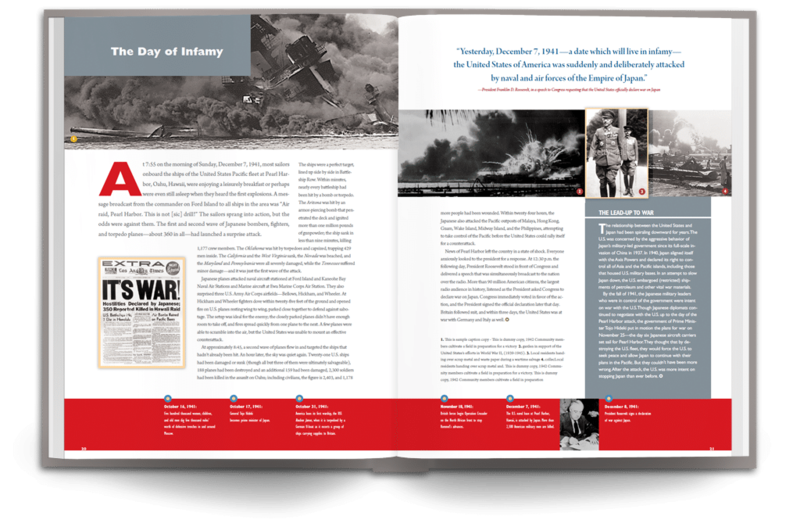 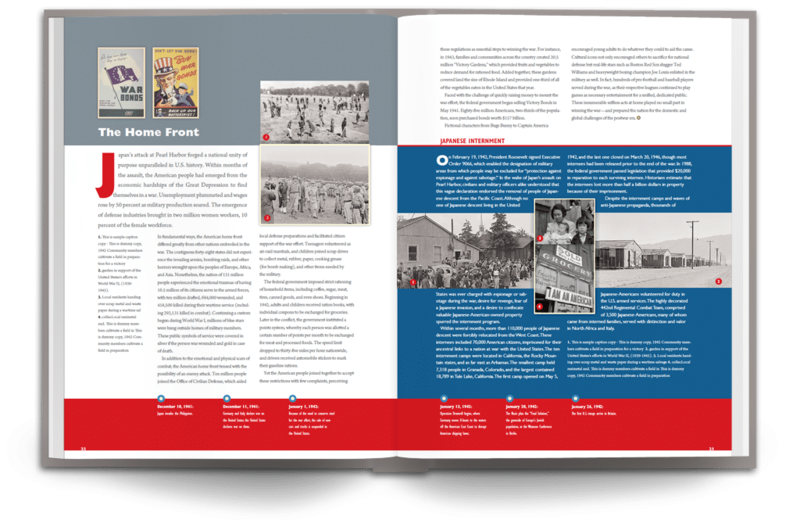 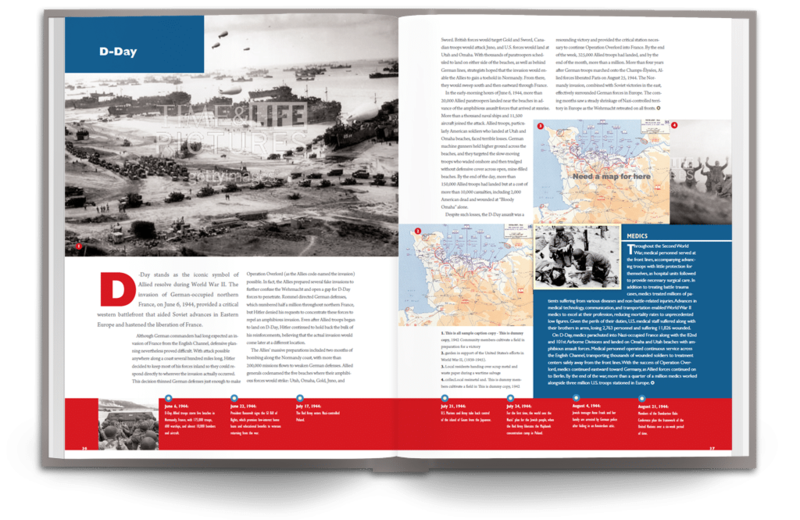 The book also utilzed a timeline running throughout the book, to showcase major events of the war. 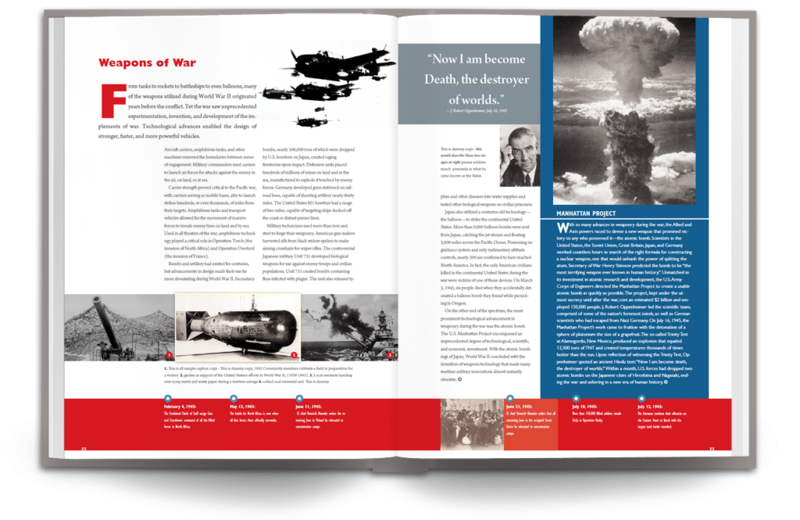 Client: Running Press is part of the Perseus Book Group, and is based in Philadelphia.